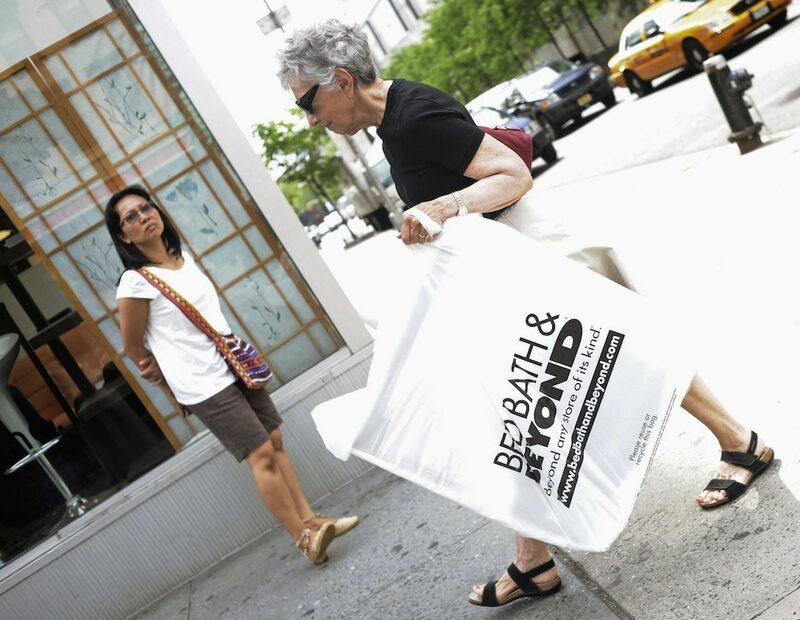 Bed Bath & Beyond reported mixed fourth-quarter results on Wednesday evening. Shares plunged 8.5% as investors digested the report. Bed Bath & Beyond was up 71% this year through Wednesday, spurred by an activist investor's call for a management shakeup. Watch Bed Bath & Beyond trade live. Bed Bath & Beyond reported mixed fourth-quarter results and guidance on Wednesday evening, sending shares down 8.5% early Thursday. "Shares are down as investors digest the reality that a sustained trend of MSD% declines in brick & mortar comps and EBIT% deterioration suggest an inflection in fundamentals is not in the near-term horizon," Jefferies analyst Jonathan Matuszewski said in a Thursday note to clients. He has a "hold" rating and $17 price target — about 4% below where shares were trading Thursday. The retailer lost $1.92 a share on a GAAP basis, missing the earnings of $1.11 that analysts surveyed by Bloomberg were expecting. On an adjusted basis, excluding a non-cash goodwill and tradename impairments charge, Bed Bath & Beyond earned $1.20 a share, topping the $1.11 that was anticipated.